Welcome to SmartphoneNinja. 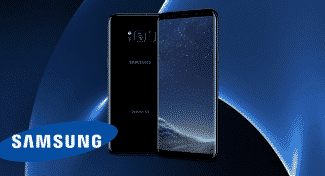 Below you’ll find a list of the best pay as you go smartphones and cell phones with no contract from leading carriers based on professional reviews, sales, performance, build quality, and consumer feedback. These are the best locked smartphones you can buy without committing to a long-term contract – this means that unlike phones on our best unlocked smartphones guide, they are locked to a certain carrier but with no contract attached. In some cases phone carriers may subsidize prices in return for the phone being locked to their network. 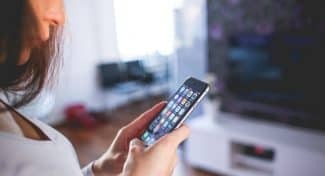 This article covers various price categories ranging from budget locked phones under $100 all the way to high-end locked phones over $400 and everything in-between. If you want a smartphone just for calls and texts there are many options as low as $40. However, at that price range you will only have access to minimum hardware and software features. 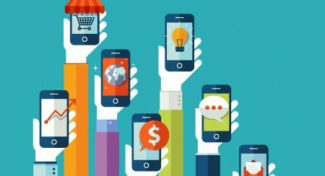 If you up your budget to around $100, you will find smartphones with surprisingly good features – some even sport a Quad-Core processor, 8GB of internal storage and 4G LTE support. Nokia, Motorola, LG and Samsung are the leading manufacturers of large-screen smartphones in the budget segment. 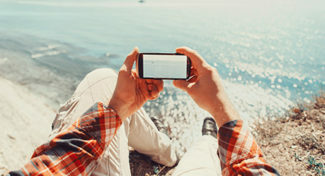 Most of the entry-level smartphones under $100 make trade-offs in areas like build quality, screen resolution, internal storage, system memory and connectivity options. For $200 or more you can find prepaid smartphones that often offer a better build, faster processors, more storage and even some modern features like NFC, IR-blaster and LTE support that are often only found on top tier smartphones. For under $300 you will be at the top end of the budget smartphone area. However, the choices are still somewhat limited compared to what the smartphone carriers offer on-contract. 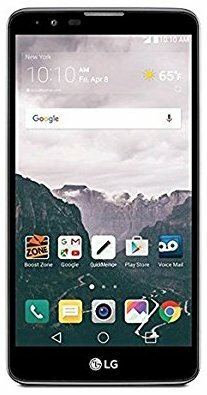 That said, the best prepaid smartphones still have close to premium level specs including an HD display, premium design, multitasking capability, large internal storage, loud speakers and excellent call quality. Users who don’t want to carry a tablet and a phone can also opt for no-contract phablets with screen sizes larger than 5.5 inches in this price category. Before you start going through our list be sure to checkout out buying guide on essential Smartphone hardware and the different types of Smartphones if you aren’t yet too familiar with what makes your phone tick. When the Samsung Galaxy S7 was released earlier this year, it was easily the best phone in the world. However, thanks to the exploding Galaxy Note 7, things started looking grim; but this didn’t stop Straight Talk from adding it to their list of prepaid smartphones for 2016. Design-wise, the S7 is not that much of an upgrade from last year’s S6. The only significant differences are the now less-protruding camera and the more subtle curves on the sides. The front is dominated by the 5.1-inch screen which is not only well-sized but also one of the best displays in the market regarding sheer quality. Combining a remarkable 2560 x 1440-pixel resolution with Super AMOLED technology, the panel achieves amazing clarity and vibrancy. Complementing the main screen is an always-on display, which shows notifications, date and time, even when the main screen is off. Out of the box, the S7 runs Android 6.0 Marshmallow. Samsung’s TouchWiz brings some useful features and additional settings onboard to make the experience even more intuitive. 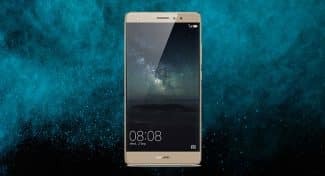 Using the phone is a pleasant breeze, thanks to proper optimization and a high-end hardware set, which comprises of Qualcomm’s Snapdragon 820 CPU, Adreno 530 GPU and 4GB RAM. 32GB might be limited going by premium phone standards, but you do get a microSD card slot for further expansion. The 12MP rear camera produces excellent pictures, but what really sells it is its fast and accurate autofocus. To crown it all the 3,000mAh battery cell provides more than enough juice for all-day usage. 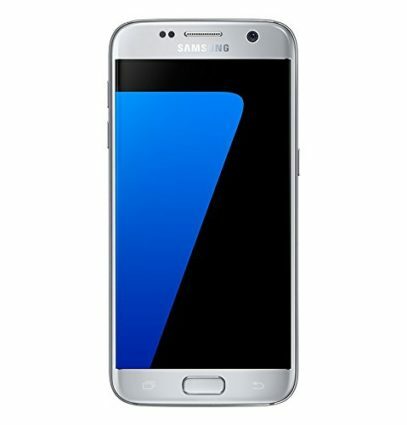 Featuring a premium design, powerful hardware, decent camera and long battery life, the Samsung Galaxy S7 is one of the best Android smartphones on the market. The V10 was the first in LG’s new line of extra-premium smartphones, and as expected it comes equipped with all the luxuries familiar to high-end smartphones. For starters, its design features the perfect blend of glass, aluminum and stainless steel, resulting in one of the most attractive yet durable handsets LG has designed to date. With an ultra-sharp 2560 x 1440-pixel resolution, the 5.7-inch QHD display is very enjoyable to look at. 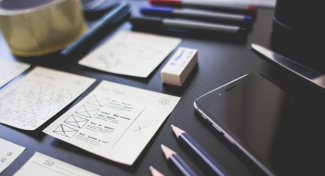 Images and text are crisp and clear, and colors are vivid and deep. 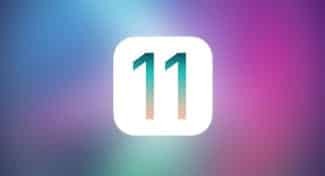 At the top is a 2.1-inch secondary display, which is reserved for notifications, your recent apps, favorite contacts and other useful settings. The LG V10 runs Android 5.1 Lollipop out of the box, but you can now step it up to 6.0 Marshmallow. LG throws in its custom overlay, which adds some software features including gestures and UI modifications, and T-Mobile populates the app drawer with several useful apps, all of which can be uninstalled. Performance-wise, the robust Snapdragon 808 hexa-core 1.8GHz CPU works with the 4GB RAM module to offer a fast and seamless user experience. Arguably the V10’s strongest feature is the camera, whose 16MP sensor excels in virtually all lighting conditions. Furthermore, the camera app offers manual settings, and although it takes some time to get used to them, they are very useful for serious photography. The 64GB internal storage is more than generous, but the same can’t be said about the battery, which offers an average 18 hours of 3G talk time and 7 hours of HD video streaming. The LG V10 offers more features than most other smartphones in its league. Moreover, it doesn’t have any serious weaknesses. If you are looking for a premium Android smartphone, the V10 is a near-perfect choice. If your budget is less than $100, the Moto E is a fine entry-level device that looks and performs reasonably well and doesn’t cut huge corners like most of its competitors. This 2nd Generation Moto E offers some welcome upgrades over the original. Besides the performance improvement, it now has LTE connectivity, an improved camera with auto-focus and HD video recording, and its internal storage has been doubled to 8GB. Some might consider its lack of removable battery a downgrade, but most modern Android handsets nowadays don’t include that option. While sporting a similar look as its predecessors, this 2nd Moto E uses higher quality materials in its design. The back is made of rubbery plastic and the outer strip of the phone has a textured pattern providing a stronger grip. Given all the Full-HD displays on modern smartphones, the Moto E’s 4.5-inch display with 960×540 pixels resolution seems disappointing. But this small screen with a pixel density of 245 ppi is adequately sharp and vibrant, and it is viewable from any angle without color distortion. Featuring a 1.2GHz Snapdragon 410 processor paired with 1GB of RAM, it is not exactly a beast, but it’s adequate enough to breeze through menu items, web pages and can handle online streaming quite well. The Moto E stands out in the budget segment because it runs pure Android, makes minimum compromises in hardware and is more reliable in performance than many of its competitors. 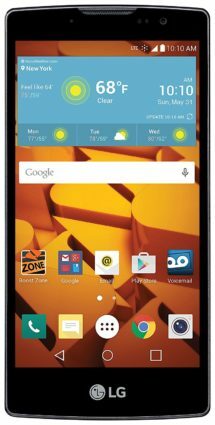 The LG Tribute 2 is an affordable LTE-enabled prepaid smartphone that brings some notable improvements from the original, featuring a better display, a modern design and a faster processor. It looks like a smaller version of LG G4 with rear facing volume and power buttons and a subtly curved back. 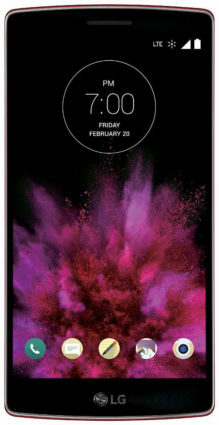 Its 4.5-inch display is the same size as the Motorola, but the former is slightly thinner and more compact. The phone has a textured back cover which can be removed to access the removable battery and a microSD slot. Its battery lasts over 4 hours while continuous browsing the Web at max brightness, which is 2 hours less than the Moto E’s 6 hour runtime. The tribute 2’s IPS display is quite sharp with 854 x 480 resolution and 218 pixels per inch, and it has decent viewing angles and brightness. It is easily viewable outdoors but not as sharp as the Motorola E’s higher resolution 960 x 540 display. The Tribute 2’s features the same hardware as the Motorola E. It packs a Snapdragon 410 processor with 1GB of RAM, which won’t have any issue with basic tasks. Stutters become more frequent when you have too many apps active in the background. It also has an Adreno 306 GPU that can handle some high-end games at lower settings. The 5MP rear camera isn’t impressive and even photos shot in good lighting appear poorly exposed. The Tribute 2 is running on Android 5.1 Lollipop with LG’s colorful Optimus UI, and like the Motorola E, it won’t receive any further system updates. If you want a powerful budget phone with great design and a removable battery, go for the Tribute 2. HTC has designed some of the best looking premium Android smartphones, and even their budget offerings score high on build quality. The Desire 626s sports a stylish unibody design that is sure to catch the attention of budget buyers. The phone is made of polycarbonate plastic and comes in variety of color combinations. It has thin screen bezels and feels solid in hand, although the glossy surface does attract fingerprints. Most budget phones make huge trade offs in performance and display quality, and while the Desire 626s isn’t the fastest nor the sharpest, it is better equipped than most. It features a 5-inch display with a 1280 x 720 pixel resolution, and even though it isn’t Full-HD, it still looks bright, colorful and sharp. Powered by a Quad Core Snapdragon 210 processor along with 1GB of RAM, the phone is quite responsive and performs well under most circumstances, though graphics and memory intensive tasks will hurt the system performance. Although it has only 8GB of internal storage, users can expand their storage via a microSD card, which they can use to store music and photos. The 8MP camera generally takes good pictures but it can record videos only in 720p resolution. 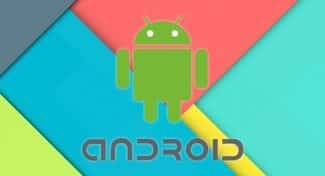 The 626s runs the latest Android Lollipop 5.1 operating system, which isn’t a big deal for premium devices but it’s appreciated in budget devices most of which are still on much older Android systems. The 626s offers similar performance as its competitors but feels more premium as it mimics the design of higher end HTC devices. The LG Volt 2 packs all the necessary specs and some modern software features that aren’t found on typical budget handsets. It has a gently curved back that adds extra comfort and grip, and looks very clean since all of its buttons are located on the back. The rear volume keys and power buttons can be easily reached by your fingers, although some may prefer the buttons on the traditional spots on the edges. If you aren’t buying the hype of Quad HD displays, you will be happy with the visual quality of its 1280 x 720 resolution 5-inch display. With a pixel density of 294 ppi, text looks sharp and the colors on the images remain true to life. 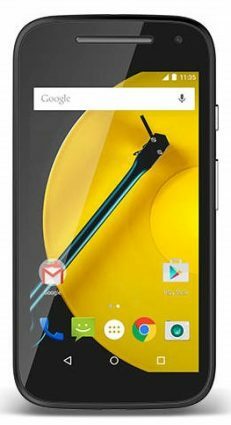 While Android 6 Marshmallow is already rolling out for many high-end devices, it is commendable that the low-end Volt 2 is running the relatively new Android Lollipop 5.1 OS. It also supports LG’s exclusive software features like Knock Code, Quick Memo, and Gesture Shot. Its 8MP main camera takes usable photos, although at times it can’t focus on the subject. The Volt 2 performed admirably thanks to the 1.2GHz Quad Core Snapdragon 410 processor paired with 1GB of RAM. 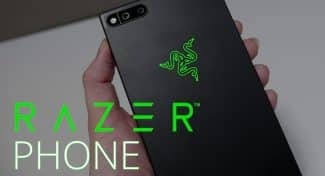 It managed to run some demanding Android games with minimum lag, and had no problem with casual stuff like YouTube videos, Web browsing and Social Media apps. In a market flooded with budget smartphones, the LG Volt 2 tries and succeeds in making a solid name for itself. The Lumia 640 XL is the larger, souped-up version of Microsoft’s best-selling Lumia 640. In addition to the new 5.7-inch screen, other upgrades include better cameras, 4G connectivity on AT&T, and a larger battery. The casing has also seen some change, as it’s now a matte finish, unlike the glossy fingerprint-magnet feel on its smaller sibling. Despite being all-plastic, the phone is solid and can withstand more than a few knocks and drops. While the modest 1280 x 720-pixel resolution was acceptable on the 5-inch Lumia 640, it looks a little too dull on the larger XL. Regardless, most casual users will find its clarity and color quality satisfactory. Internally, everything is just as it was in the 640. The XL runs the same version of Windows Mobile 8.1 and packs the same set of hardware: a 1.2GHz Snapdragon 400 and 1GB of RAM. When it comes to basic use, the phone offers a smooth experience. The Windows Store has come a long way since its inception, but is still miles behind the overly populated Apple and Google App stores. Nonetheless, a Windows 10 update for the phone is available for download, which comes with a good number of new features and tweaks. The strongest feature on the Lumia 640 XL is its new 13MP rear camera, which utilizes Zeiss optics to produce really good pictures. The 8GB internal memory is limited, but the microSD slot ensures you have all the space you need for your snaps. The 3000mAh battery also offers decent life, and will get you through the day. The Galaxy Prevail is an inexpensive option for users who want fast a LTE connection, reasonably fast hardware and a consistent software experience. Carrying the “Samsung” brand name, the Prevail LTE looks like a miniature Galaxy S5 designed for a comfortable one-handed use. Unlike other budget phones that look like a plain plastic block, the Prevail looks more expensive thanks to its fingerprint resistant matte finished back with faux-metal rim. Its 4.5-inch LCD display has 800 x 480 pixel resolution. In contrast, the Moto E’s higher resolution screen is sharper and more saturated in color, but you won’t notice the difference unless you put the phones side by side and look real close. Another weakness of the Prevail’s display is that even at maximum brightness, it has poor visibility outdoors. Similar to the Moto E, its core components include a Qualcomm Snapdragon 410 clocked at 1.2GHz and 1GB of RAM. While general benchmarks show similar scores, the Prevail has a slight upper hand in graphics scores due to its lower resolution screen. The device is smooth most of the time but stutters when multiple apps are running at once. Out of the 8GB of internal storage, 5GB is available to users with the option to expand via microSD card. 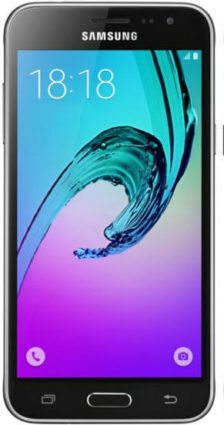 All in all, the Prevail, which is pricier than similarly equipped competitors like LG Tribute 2 and Moto E, is recommended for previous Samsung users who love the Touchwiz UI and the signature white polycarbonate design of Samsung devices. As far as affordable smartphones go, the Galaxy J3 is thoroughly impressive. It is an attractive handset, with a slim, light and compact feel that makes it very comfortable in the hand. On paper, the 1280 x 720-pixel resolution isn’t all that impressive. However, thanks to a sizeable 5-inch screen and OLED technology, the J3’s display looks great. Images and text are all clear, colors have an admirable pop and contrast is excellent. On the downside, the panel isn’t made of Gorilla Glass and is therefore susceptible to scratches. Multimedia functionality is let down by the feeble speaker at the back, which makes owning good headphones a necessity. 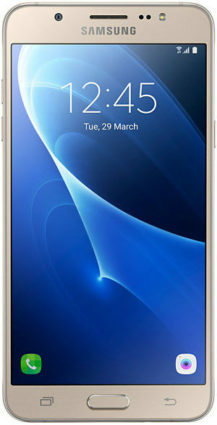 Software-wise, the Galaxy J3 runs Android 5.1.1 Lollipop, overlain by Samsung’s TouchWiz UI. 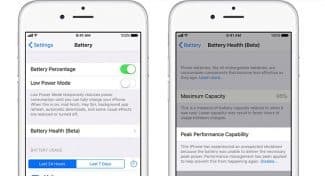 The top layer of the interface is kept clean and simple, but digging a little deeper reveals an unpleasant amount of bloatware that squeezes the 16GB internal storage available to just a little over 10GB. The J3 is powered by Samsung’s mid-range Exynos 3475 quad-core 1.5GHz processor and 1.5GB of RAM. It performs well with basic tasks and light multitasking, but not anything more demanding. The 8-megapixel camera is equally uninspiring, especially since several phones at this price are now offering decent 13MP sensors. To recover the J3’s lost glory is the 2600mAh battery, which offers adequate up-times and is removable for easy replacement. The Samsung Galaxy J3 is a budget-friendly smartphone that offers just what the casual Android user needs. Unlike other budget phones, the Aquos Crystal sports a unique design that is sure to catch the attention of even some premium buyers. 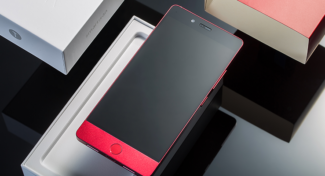 It has a 5-inch display surrounded by a tiny bezel that gives it an edge-to-edge look. The phone looks futuristic and even though it seems to lack adequate bezel space, it isn’t difficult to operate. Standing 5.2 inches tall and weighing 5 ounces, it is very pocketable and feels comfortable in the hand thanks to its slightly arced back. The only part that looks cheap is its battery cover which is made up of thin plastic. Beyond its compelling aesthetics and 4G/LTE support, it is just another attractively priced device with entry-level hardware capable of performing everyday activities at an acceptable pace. It has a quad-core 1.2GHz Qualcomm Snapdragon 400 processor paired with 1.5 GB of RAM and 8GB internal storage expandable upto 128GB via a microSD card. It is neither too slow nor astonishingly fast, but due to its relatively higher memory, it has an upper hand in multitasking against its closest rivals. Its 8MP rear camera snaps pictures quite fast, and pictures taken with ample lighting appear sharp with accurate colors. The phone’s rear facing speaker sounds tinny and low pitched, but it’s loud and decent enough for most users. If you’re on a budget the Crystal is a great option- it offers a stand out design in a crowd of forgettable prepaid devices and runs stock Android perfectly. The Aquos Crystal is not only a fantastically built budget device but also a strong performer with enough power to keep up with your daily tasks. 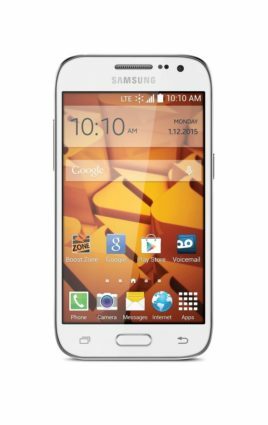 The Samsung Galaxy J7 is one of the better smartphones in Boost Mobile’s collection of affordable handsets. It is a bigger, more powerful version of the 5-inch Galaxy J3. The design shares the same language with most other Samsung devices, but with a 5.5-inch screen, it is a little on the larger, more unwieldy side. Speaking of the screen, the J7 has a super AMOLED panel. Its 1280 x 720-pixel resolution might be low for its size, but everything seems clear and colors are impressively vibrant. Viewing angles are also acceptable and the screen is bright enough to be used in the sunny outdoors. Unlike the Galaxy J3, the J7 ships with Android 6.0 Marshmallow. Samsung’s TouchWiz UI brings some visual changes to the table like custom app icons and a different settings menu. As with all carrier products, bloatware is abundant in the J7. It is not a heavy load of apps, but it does slice the 16GB internal storage available to a mere 9GB. 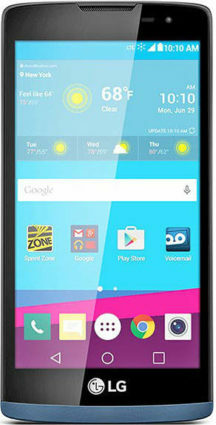 Performance is offered by a Qualcomm Snapdragon 617 1.4GHz processor and 2GB of RAM. The phone is fast and smooth when it comes to general use and multitasking, and even demanding games like Asphalt 8 will play with minimal latency. However, this strong performance is not reflected by the camera, whose 13MP sensor only performs well in properly lit environments. Thankfully, the battery is more admirable, offering up to 23 hours of talk time and 10 hours of LTE video streaming. 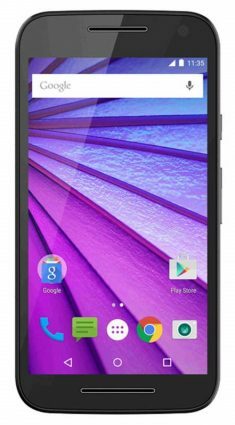 The Moto G3 is a 2015 budget smartphone that lacks the cutting-edge specs found on premium smartphones of today. 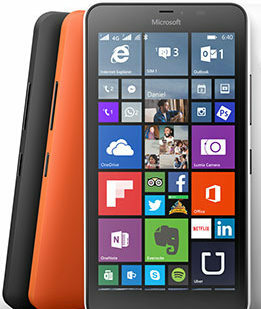 However, since release its price has significantly dropped making it a competitive device in the budget category. It feels sturdier than many similarly priced handsets and packs an assortment of intuitive software features found on higher-end Motorola devices. The phone’s back is subtly curved for a strong grip and a comfortable feel. The soft-touch plastic casing doesn’t catch fingerprints and is very rigid with hardly any flex. Moto G3’s 5-inch IPS screen with 1280 x 720 pixels resolution showcases vibrant colors, deep blacks and wide viewing angles. It’s a step down compared to the latest QHD or Full-HD panels, but it’s much better than the IPS LCDs used on budget phones. The core components include a 1.4GHz Qualcomm 410 processor along with Adreno 306 graphics, Despite its entry level quad-core processor, the Moto G feels as smooth as it’s competitors while navigating through menus, swiping across the homescreen and launching apps. The Moto G3 runs a near stock version of Android 5.1.1 KitKat with additional features for contextual computing. It has an always listening microphone that activates various voice commands after you say the magic words, “Okay Google” to setup reminders, send texts/emails, initiate calls, get weather updates and so on. The Moto G is a well-crafted handset with plenty of notable features and enough performance to satisfy ordinary users, but it won’t impress the spec junkies. The G Flex 2 is LG’s second smartphone with a flexible, curved design. With a smaller 5.5-inch screen, the Flex 2 is noticeably easier to hold and maneuver by one hand than the previous G Flex which was a full 6-inches tall. It’s slightly arched back rests on the hand more naturally, and it is durable enough to flex back if you accidentally sit on the phone. Like its predecessor, the Flex 2 has a “self-healing back” which LG’s claims can repair itself from light scratches in a few seconds. 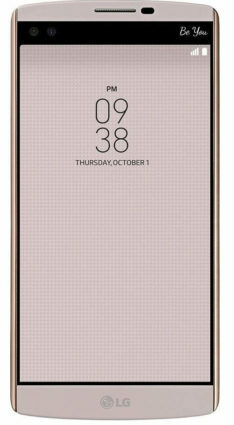 Sticking to LG’s design formula, the power and volume buttons are placed at the back keeping the edges of the frame entirely clean. LG uses the same curved OLED display technology as last year but this time the pixels have been bumped up to Full-HD resolution. The display is bright enough for outdoor use, has wide viewing angles and is very responsive. Powered by a blazing fast Snapdragon 810 processor combined with 2GB of RAM and an Adreno 430 GPU, the Flex 2 manages to outperform many of its rivals including the Note 4. It runs the latest version of the Android Lollipop operating system with additional LG exclusive features like Knockon and Knockcode, which lets you unlock or wake up the phone with various tapping gestures. The Flex 2 has a feature packed 13-megapixel camera with laser auto-focus, optical image stabilization and dual LED flashes. The fast focusing and stabilization helps the camera capture blur-free photos and videos even when your hand is unsteady. Camera isn’t as good as on the G4. The LG G Flex 2 is a trendy phone with plenty of power, and it’s worth a serious look because it costs significantly less than other high-end LG smartphones. 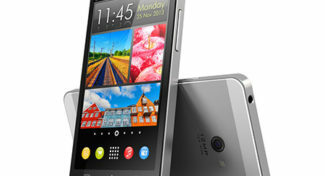 The HTC Desire 816 with a 5.5-inch screen is a king sized smartphone. It has a glossy polycarbonate plastic back with matte side and front. Its unibody construction isn’t as fancy as the HTC One X, but doesn’t feel cheap to hold either. The desire 816 has a 720P HD screen with 267 ppi pixel density, which is no match for most current smartphones’ 1080p HD screens, but the LCD2 screen has good brightness and nice viewing angles. 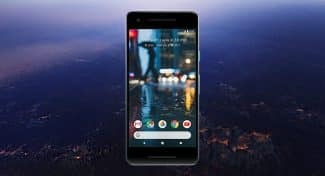 Overall the screen resolution is closer to small screen devices like the HTC One Mini 2 and the Moto G, still the latter two offer better pixel densities. The internal components are nothing special sporting a mid-range 1.6GHz Quad-Core Snapdragon 400 SoC, slightly above standard 1.5GB of RAM and the Adreno 305GPU which should allow you to watch videos, photos and play most games without many hiccups. It also supports 4G LTE for high speed internet. Internal storage is just 8GB but unlike the fixed-storage HTC smartphones, it comes with a microSD slot for expansion. On the software side, the 816 runs the new Sense 6 on top of Android 4.4.2 KitKat OS with hosts of new features. Multimedia users will also enjoy the high quality audio from its Boomsound stereo speakers. It has a decent 13MP primary camera and a 5MP front facing camera, both are capable of capturing reasonably sharp images, although don’t expect too much on low light conditions. 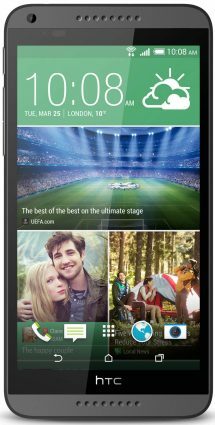 If you are looking for a budget Virgin Mobile smartphone, The HTC Desire 816 is an enjoyable, well-priced smartphone that is at least worth a closer look. As Microsoft’s first smartphone to launch with Windows 10 Mobile, the Lumia 950 arose a good deal of expectations. While it delivered on most, the design was one of its weaker features. The casing is made of polycarbonate, with curved corners and flat sides. It feels bulkier than most similarly-sized handsets, and unlike previous offerings in the Lumia line comes in only two colors: black and white. Powering up the phone, however, gets the ball rolling in the right direction. Its 5.2-inch screen packs an impressive 1440×2560-pixel QHD resolution and AMOLED technology to result in unquestionable clarity and punchy colors. Software-wise, the 950 showcases Microsoft’s latest Windows 10 Mobile, which comes with several cool updates, new features and reduced bugs. The software experience is only let down by the app store whose few apps are mostly of low quality. Armed with a Snapdragon 808 and 3GB of RAM, the Lumia 950 performs superbly. Gaming is great too, although the selection of titles on the app store is limited. Another thoroughly impressive feature on the Lumia 950 is the camera, whose 20MP sensor captures detailed shots with accurate colors. The optical image stabilization focuses fast even in low light, and when it gets too dark, you can activate the triple-LED flash and keep on shooting. Onboard is a generous 32GB of storage, which you can further expand to your desired amount with microSD cards. The 3000mAh cell offers enough battery life for any day and is removable which means you can carry an extra one for easy replacement, just in case. 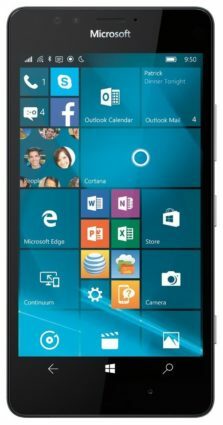 Offering an amazing display, fast performance and a capable camera, the Microsoft Lumia 950 has everything any Windows enthusiast would love to have in a phone. 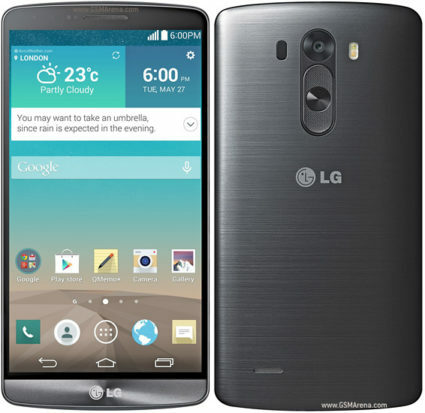 The LG G3 features rounded corners, a narrow bezel and rear button placement just like the G2. However, the design is much improved on the G3 which comes with a faux-metal back as opposed to the glossy plastic on the G2. Another big step up is that the G3 has a removable back plate that allows users to access the battery, microSIM and the microSD card slot. With no physical buttons on the frame, your entire attention is focused on the 5.5-inch 2560 x 1440 pixels display. This display packs more pixels than the iPhone 5S and Galaxy S5, but has a slightly lower maximum brightness than the two. The Quad HD is much sharper than the 1080p display on the G2, but the higher resolution screen is a power hog leading to a shorter battery life on the G3. Powered by a quad-core Snapdragon 801 combined with 2GB of RAM, the G3 can handle everything from simple apps to heavy duty games. Compared with the latest handsets it scores lower in the benchmarks, but in practical use it is only marginally slower. Another improvement on the G3 is its laser auto-focus which allows its 13MP camera to focus a lot faster than normal smartphone cameras. The G3 takes clear and natural looking images, and has a better low light performance than the G2. While the G4 and G5 are alternative options, if you want a similar device for cheap, the G3 is worth your consideration. 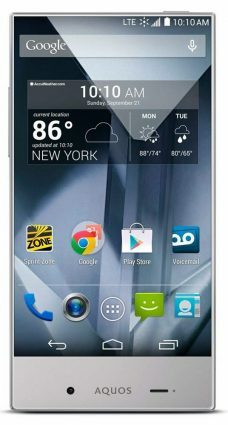 Although quite some time has passed since the LG G3 hit the stores, it remains an all-around great Android smartphone. Although the Galaxy S7 has established itself in the smartphone market, the major carriers in the country are yet to include it in their list of prepaid devices. Because of this, your next choice from Samsung is the S6, one of the finest phones from 2015. The S6’s premium design is characterized by smooth Gorilla Glass 4 on the front and back, and the sides are stylized by aluminum alloy bands. The phone is thin and light, but still feels solid, and because of slimmer bezels, it is more compact than the iPhone 6 despite having a larger screen. Now that we’ve mentioned it, the 5.1-inch Super AMOLED display rocks a 1440 x 2560-pixel 2K resolution which amounts to an exemplary 577 ppi pixel density. Watching anything on the S6 is a delight, thanks to high contrast, vibrant colors and deep blacks. Out of the box, the Galaxy S6 runs Android 5.0 Lollipop integrated with TouchWiz UI. 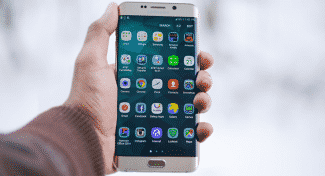 Samsung brings a couple of useful features to the table, such as the fan-favorite multi-window mode and Sprint is also relatively cautious with bloatware. 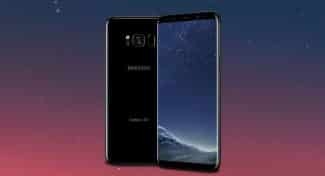 Overall, the software experience is helped a great deal by a high-end hardware set, which includes Samsung’s own Exynos 7420 Octa CPU and 3GB RAM. Offering remarkable picture quality, good low-light performance and split-second auto-focus, the 16MP rear camera is yet another selling point of the S6. That said, the relatively small 2550mAh might not live long enough to get you all the shooting time you need unless you keep power saving mode on at all times. 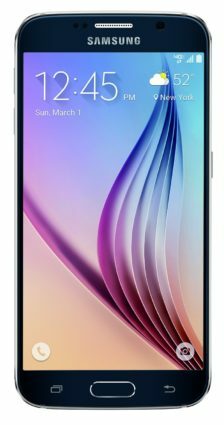 For Sprint users, the Galaxy S6 is one of the best prepaid devices in the market. Moreover, thanks to a significant reduction in price since its release, it offers very good value as well. In a way, the LG G4’s design is its most underwhelming feature. Its casing is made entirely of plastic, which means it doesn’t really feel like a premium device. However, its friendly ergonomics makes it easy to hold and carry around, despite its phablet nature. The 5.5-inch LCD excels in all aspects. Its 1440 x 2560-pixel resolution results in a very clear and sharp visual output, IPS technology ensures wide viewing angles and sufficient brightness makes outdoor usage easy. The G4 runs Android 5.1 Lollipop out of the box, overlain by LG’s Optimus UX interface. Pre-installed apps and custom features are plentiful, the most useful ones being Smart Bulletin, which gives you access to a couple of core features, and Smart Settings for a more personal control over some functions. For performance, LG chose the capable Snapdragon 808 and coupled it with 3GB of RAM. Everything, from general use to multitasking and gaming is handled without any sweat. As expected, pictures captured with the G4’s 16MP rear camera are of excellent quality. Moreover, the camera app offers useful features, such as manual settings and RAW capture, which you can use to take your photography to the next level. Unlike Samsung and Apple, LG has been considerate enough to maintain core hardware features like a removable battery and a microSD card slot. While some might not even need an SD Card given the 32GB internal storage already on board, the LG G4’s battery life is only average. You will probably need an extra battery pack for those long days. While the G5 is a worthy successor, the G4 still has everything everyone wants out of a high-end smartphone. That brings us to the end of our guide to the best prepaid smartphones in the country. 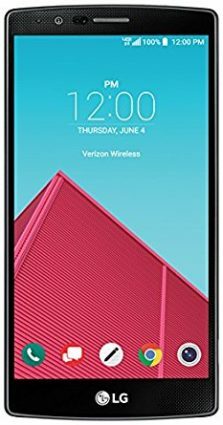 Prepaid phones are cheaper than their unlocked counterparts, but if carrier freedom and minimal bloatware are what you desire, our best unlocked smartphones and best cheap unlocked smartphones will lend you the help you need to find the phone of your dreams. Not sure which mobile carrier to subscribe to? Browse through our up-to-date guide to the best prepaid and best cheap prepaid cell phone plans in the US. We are certain you will find the plan that will best meet your needs.